What’s the plan for 2019 solo travellers? People choose to travel solo for a number of reasons, independence, freedom, adventure, self discovery and the world is just too big to wait around for someone to say yes every time you feel the urge to buy a one way plane ticket. The great thing about going on a retreat is that it offers you the best of both worlds, you go alone but get to know, spend time with, and have experiences with new people. If you are already on your travels or living a nomadic life then a retreat can be a great ”pick me up”, or a pit stop to recharge your batteries and benefit your health at the same time. You don’t have to be an experienced yogi or meditator. You can even learn a new skill such as surfing and have someone else take care of the itinerary for you. Here’s our top recommendations on destinations and retreats for the solo traveller. Take your practice on a life changing adventure and immerse yourself in the mind-bending natural beauty of the tropical jungle and beautiful beaches of Costa Rica. This eco-pioneering wellness destination is a must visit to experience the true meaning of the ‘pura vida’ lifestyle for yourself. Practice yoga and meditation in an open-air pavilion with breathtaking views, read by the pool, hike in the jungle and renew your health at AmaTierra, providing an oasis of tranquility and rejuvenation through yoga, meditation, mindfulness, healthy foods, fresh spring water, herbal medicine and bodywork. Here you are invited to relax, slow down and let nature be your primary healer, as you connect deeply with the pristine beauty of the tropical forest and experience the authentic local culture of rural Costa Rica. Break away from your daily routine and try something new. Come and feel empowered to believe in yourself while you learn to surf. Surfing is a powerful tool to connect yourself to the sea and its vibrant energy. Balance your surfing with yoga and connect with your inner self, bringing together mind and body. This yoga and surf retreat takes place on the fantastic beaches of Santa Teresa and the wonderful nature around, while nurturing our body and mind consciousness, through yoga and healthy food habits. Do you travel sustainably? Let’s use travel to sustain the world, not destroy it. Here’s a practical guide to responsible travel. At Vista Celestial you can enjoy daily yoga and meditation surrounded by the rainforest, tropical flowers, toucans, monkeys, parrots, and butterflies. Enjoy the pacific ocean, primary rainforest, cloud forest and beach views from your private hacienda and infinity pool. The property is surrounded by lush primary rainforest and tropical trees and flowers. You will feel like you’ve stepped into a different world. All your senses will be stimulated by the exotic flowers and tropical rainforest. Vista Celestial is the perfect place to just get away from it all, focus on your wellness. And you’re only minutes away from deserted beaches or hikes in the cloud forest above. You can be in two different temperature zones within minutes. You will enjoy wonderful ocean breezes and rejuvenating natural beauty sleep. This wellness retreat has your health foremost in mind, maximising the use of organic foods and drinks, they don’t add unnecessary sugars or syrups, it all makes a difference. Choose your wellness package between 5-10 days. Anamaya, is a truly an exotic place, built on a cliff edge and overlooking the most incredible ocean views. The resort is next to an epic waterfall, surrounded by rainforests, and located in one of the world’s most beautiful tropical beach towns, Montezuma. “Anamaya” is Sanskrit for “good health” and to us that means great healthy food, rest and relaxation, exercise, and lots of fun and laughter. You will truly enjoy your meeting other “Anamayans” from around the world, and sharing this experience with your many new friends. It features a 500 acre private cloud forest reserve and is flanked by the Juan Castro Blanco and Poas Volcano National Parks. This unique destination draws visitors who want to live an intense nature-immersion experience. Misty tropical cloud forest, roaring waterfalls, and colourful culture are showcased through heartfelt hospitality and upscale facilities. Did you know that British Airways now offers direct flights to San Jose International Airport, as well as Liberia Airport. Cheap flights. With so much to see and do in Italy (as well as eat and drink), it’s a great choice for the solo traveller. You can choose a city or a quaint coastal town as your starting point, then head north or south and join one of these culture packed retreats to help you burn off all that pasta, wine and pizza. Join this Luxury Yoga Retreat in Puglia, and discover this “it list” region of Italy’s rural heel. This wonderful retreat will enable us to experience the landscapes and activities of this incredible rising star of Italy. Finish the week with massage treatments and plenty of time to relax at our home-away-from-home with its beautiful pool, walking trails, and more. On this FORM+FLAVOURS retreat in Tuscany this June, staying in form with mindful yoga and scenic walks, plus exploring the highlights of the area with a food-focused itinerary in the land of mouth-watering cuisine + wine!. Enjoy enjoy walks around the scenic Tuscan hills, and a meditation walk will be included in the week as well. We’ll not only balance the week with the healthy “form” part of the retreat, but also with learning about and experiencing firsthand the amazing flavours of this region. Each day, we’ll be able to enjoy mouth-watering cuisine and take part in tastings, from wine and olive oil, to cheeses, gelato, and, of course, the Italian espresso. From award-winning restaurants to family farms and kitchens, learning and enjoying the food will be an added bonus to working up an appetite during our classes and walks! Escape to some of the most breathtaking parts of Greece, away from the tourist crowds where you can practice yoga, pilates, mindfulness and meditation against a backdrop of the beautiful Mediterranean sea. Take a breathtaking and unforgettable sunshine and yoga holiday in Santorini, known for its beautiful blue and white churches and surrounded by majestic views of volcanoes in the backdrop, the crystal clear Aegean sea and stunning sunsets. Get all the Vitamin D you could possibly need and more soaking-in the warm Greek summer sun. The wonderful heart-warming people of Greece, the food, and stunning scenery make it a very special location to retreat to. There really is nothing else quite like Santorini so it is a must-do holiday destination. Combining it with yoga makes it an unforgettable experience. Morning yoga up by the church behind your accommodation with views to the Aegean Sea. Sailing the Greek Islands is a lifetime bucket list item that is every part as rewarding as you’d imagine it is. This Greek Islands yoga sailing retreat is based out of the Ionian Islands, which is located on the protected west coast of Greece, creating the perfect environment for flat seas, mild winds and the best leisure cruising areas. This yoga sailing holiday starts off with an hour-long yoga class in a new secret location each day, whether it’s overlooking the bay, the beach or the harbour, but rest assured you wont have done a yoga class in a location like this before. You will set sail for your daily beach stop, which includes some of the bluest, clearest water you’ve even seen with magical white cliffs towering over the beach. It truly is a bucket list trip. In this stunning villa you can join a beautiful and transformative Indian Yoga and Meditation retreat in May with the scenic backdrop of Lefkada Islands, Greece. Learn to go inside through deep Buddhist meditation and classical yoga in order to release our blockages and undo the cycles of our past, while simultaneously applying this powerful knowledge in order to heal the body through tantra, ayurveda and reflexology practices. Winner of the Luxury Travel Guide Awards 2017 for Asia and Australia region and Service Excellence by Tripadvisor this is an intensive spiritual experience, where you can learn to go inside, let go off the pain, the cycles of limitations and expand beyond your original self through simple direct work on and into the mind which the Yogis have practiced for thousands of years. 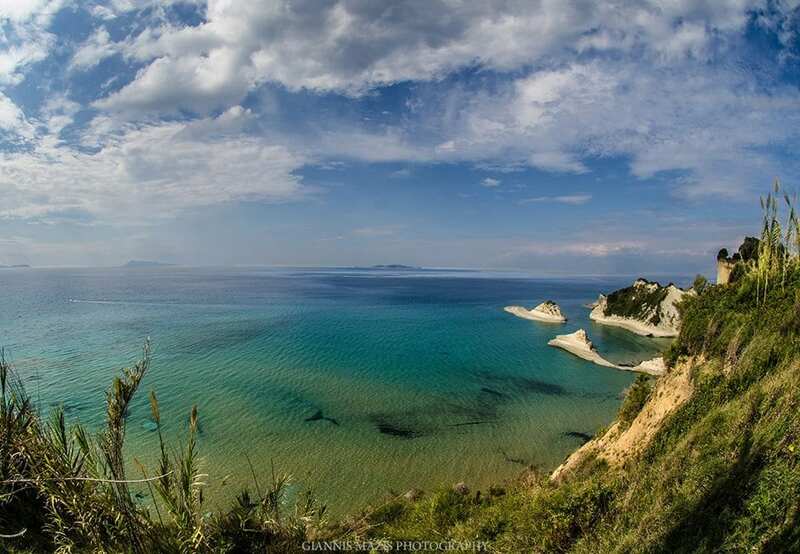 Almyros in Corfu is a peaceful paradise escape, perfect for those looking to take a relaxing break from the hustle and bustle of everyday life. The experienced and inspiring yoga teachers will challenge your mind and body, encouraging you to enhance your overall wellbeing through daily practice of yoga techniques. This is a week long yoga retreat, which will allow you to unwind in its tranquil environment. Ibiza is one of our favourite Islands in the world!. As soon as you step foot off the plane you can feel the healing energies work their magic….and that’s even before the retreat starts!. It’s the perfect place for yoga, meditation, detox, wellbeing, beaching, guided walks, nurturing, unwinding, relaxing, pampering, spa time and plenty of YOU time! This yoga cleanse retreat in May offers a carefully curated programme, as a part juice fast all organic yoga cleanse, with resident expert cleanse team and nutrition consultancy, along with highly experienced therapists and teachers. By gently cleansing the body, mind and spirit, we will create a space for you to let go of anything no longer serving you. And in this space, invite your highest clarity, lightest vibration and clearest connection to self. We will guide you on a journey of complete rejuvenation, to your best and happiest you. To support the cleanse process, we will also invite you to disconnect from digital devices and the internet. And we encourage you to re-connect to yourself, to nature and to our beautiful Chaya Family. Using all organic high-vibration ingredients, yogic asana and cleansing techniques, naturopathic healing practices, inspiring workshops, beautiful treatments with world-class therapists, rituals, coaching and many other tools; this yoga cleanse retreat is a complete game-changer on every level. Layana Resort and Spa is a luxurious adults-only hideaway set amidst the azure blue waters of the Andaman Sea, Koh Lanta Yai, an idyllic tropical island located in the South of Thailand with pristine beaches backed by lush tropical greenery and forested hills. Located on 3 kilometres of the white sandy Phra-Ae-Beach and harmonising with its secluded surroundings in a way that is distinctly Asian, this retreat blends pampered luxury with a fresh, open and natural ambience. Translated from the Sanskrit language “Layana” means “a pause in time”; in keeping with this ethos, the resort is committed to creating an exclusive haven of luxury where the world revolves around you. There will be a Christmas Eve celebration with special gourmet feast and performances and fundraiser for our local charities. On New Year’s Eve there will be a special ceremony to acknowledge 2019 and welcome in 2020 as well as a feast and performances. At the Fivelements Healing Detox Retreat in Bali, they embrace holistic Balinese-inspired therapies administered by traditional Balinese healers using ancient wisdoms passed down through direct lineage. Recognising that optimal wellness comes from learning to love and respect the body, mind, and spirit, where health and well-being are a reflection of inner harmon, this 7, 10 or 14 day retreat provides a healing journey for detoxification and transformation. Spend from 3 – 14 days at the Sen Wellness Sanctuary in Sri Lanka, a small, peaceful and modest retreat in a nature reserve set between a lagoon and the ocean in the south of Sri Lanka. It is the perfect place to immerse yourself in natural beauty and relax and rejuvenate your body and mind. The Sanctuary offers Yoga and Ayurveda retreats all year round and hosts detox retreats and special Signature retreats a few times a year. The gentle rhythm of the sanctuary and the pared back approach and architecture of the place allow for a genuine retreat. You’ll be encouraged to put away your devices as much as possible and allow for a digital detox too. With our retreat sanctuary in the mangrove forest by the beach, we invite our guests to reconnect with nature and feel the vital energy of Sri Lanka. These weekend wellness retreats, located in the gorgeous and unspoiled location of the enchanting Korcula Island offer the perfect opportunity to refill and restore your energy under the Mediterranean sun surrounded by crystal blue seas, and bring your body and mind into balance with daily yoga classes, meditation and breathing exercises. You will enjoy hikes through Korcula’s lush and unspoiled wild fields, explore hidden bays of breathtaking beauty and experience an excursion to the magical natural park of island Mlijet, with its salt lakes, bicycle wine tour to the famous Croatian wine region on Peljesac and most of all to discover all the joys of Mediterranean and have a lot of fun in the process. Should you prefer a week long retreat they also offer a Seaside Yoga Holiday. If you are a lover of the great outdoors then this spring hiking and yoga holiday in Montenegro is for you. This is a week to showcase all that this untouched area of the world has to offer!. You can expect a relaxed yet exhilarating itinerary, with breathtaking hikes, water sports, boat excursions, beautiful day trips and more, with 3 hours of yoga per day. Based in a beautifully renovated olive mill 10 minutes from the spectacular coast, it’s a short walk from the traditional old town with its cosy restaurants and shops, so you choose to have a day to relax by yourself too. Montenegro is half the size of Wales, but in a relatively small area you will be lucky to find an incredible coastline with unspoilt beaches, clear lakes in the national parks for wild swimming, rivers fit for kayaking, and mountains that are begging to be conquered. Day tours, hiking, cycling and more can be arranged for you so that you can take in all there is of this incredible country. Refresh and rejuvenate while you sail around the stunning Islands of Croatia. Enjoy the tranquillity of the sea as you tantalise your senses in this luxurious Yogalates Retreat. Linda’ is a 5 star elegant 32 meter wooden gulet. Decked throughout in teak and mahogany, she is truly the Queen of her class. Imagine sunbathing on the enormous cushioned area on the foredeck or relaxing with a drink on the shady rear deck or just diving overboard for a refreshing dip on the Adriatic, not to mention the delicious Croatian cuisines cooked by Masterchef Jaska and wines served at meal times. You will visit Mljet (bike ride, lake, national park), Korcula, Vis (green grotto), Hvar and Trogir (mainland), exploring the charming villages of the Islands, the beautiful natural landscapes including coves and beaches and enjoy swimming, paddle boarding and other water activities fused with your daily Yogalates practice. Skyscanner gives you the best rates and allows you to search for flights with multiple airlines throughout the whole month. There is even a function to search ‘everywhere’ for the cheapest deals to anywhere. You can also set an alert to get notified when a flight price goes down. A retreat sounds like just the ticket at the moment, preferably one without any access to phones, laptops, tablets or the outside world! ha! Hi Zara, there are digital detox retreat for that. Where are you based?